Thomas Huber (born 18 November 1966) in Palling, Bavaria) is a German climber and mountaineer. He lives in Berchtesgaden with his family. His brother and climbing partner is Alexander Huber and the two are called “Huberbuam” (Huberboys) in Bavarian dialect. They were the subject of the 2007 film To the Limit. Thomas Huber, UIAGM Mountain Guide, the older brother of the two Huberbuam, has dedicated his life to alpinism. Together with his brother Alexander, they form one of today’s most capable and successful rope parties. His childlike curiosity has always been prompting him to discover the unknown in the mountains all over the world. 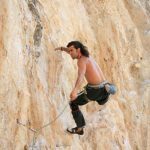 Whether it is speed climbing on the steepest walls, alpinism on the most difficult peaks, or expeditions in extreme regions – Thomas is looking for the challenge and takes it up with the ambition of an athlete. Rise and fall, set-backs and successes, Thomas got to experience it all in the mountains. His strong, indomitable spirit has learned that in order to find the key to success, he must accept set-backs on his crazy vertical journeys. He is a father of three children and always aware of his responsibility for his family. 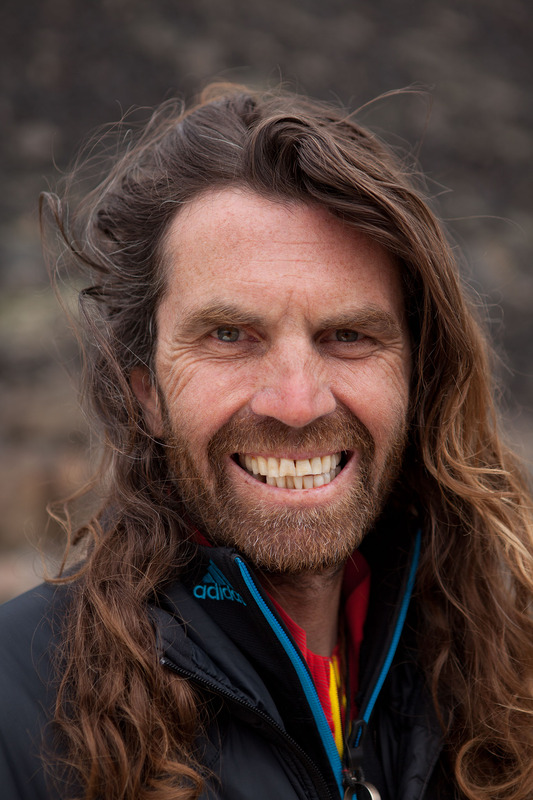 Besides climbing mountains, Thomas entertains a large audience with his adventures – even after more than a 1000 intense, funny and passionate slide shows. With his brother Alexander, Thomas has authored several books and is the protagonist of several movies. He also is a much-appreciated guest in talk shows. 2009 First free ascent with Alexander of Eternal Flame, (5.13a), on Trango (“Nameless”) Tower (6,239 m), Pakistan. They share their passion without compromise, and even if they may seem different at first sight, they both share the name Huberbuam and what it stands for. They are a perfect team on the hardest mountains. Again and again, Thomas has to deal with serious injuries that hinder his progress as an athlete. Because of these set-backs, he develops a strong will. Giving up is out of question. Later in his life, he discovers sky diving and tries to combine it with climbing: After a difficult ascent, the parachute comes in and provides a quick descent. Music is another way for him to express himself. He is the lead singer of the punk rock band Plastic Surgery Disaster. Despite is wild spirit, Thomas appreciates nothing more than finding peace at home with his family. He lives in Berchtesgaden. He is married to Marion and has two sons and a daughter: Elias, Amadeus, and Philomea.